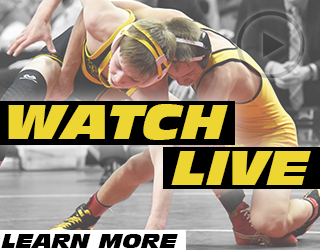 Streaming/TV info for this year’s Midlands can be found on BTN through this link. Iowa Hawkeye Thomas Gilman is going to enter this tournament the all likely favorite to win his second Midlands title and will be a large threat to make his third straight finals at the tournament. Gilman has wrestled a ton of big time matches at this tournament and even if 2014 champion Joey Dance of Virginia Tech made a surprise move to show up, Gilman owns the previous head-to-head. The biggest threats to Gilman will most likely be Northern Iowa’s Dylan Peters or Oregon State’s Ronnie Rios. Peters won the head-to-head with Rios earlier this year at the Northeast Duals, making him the strong pick for the #2 seed. The biggest question for Peters is his health. He medically forfeited out of the Cliff Keen Las Vegas tournament and missed the UNI Open. If that happens Leighton Gaul will be the man for the Panthers, and we will see what he can do against some pretty good competition. We haven’t seen Nathan Boston since the first week of the season – and from what I am told he should be back for Midlands. The Cyclones will most likely travel with veteran Kyle Larson anyway, but it would be nice to see the freshman back in the lineup. Gilman has been wrestling lights out this season and is a proven commodity at this tournament. I think the Hawkeyes go two for two with #1 seeds at 133 with returning Midlands champion Cory Clark looking to defend his title presumably against Oklahoma’s Cody Brewer. Brewer has had a rough past few weeks losing matches to Cornell’s Nahshon Garrett and Oklahoma State’s Kaid Brock, which should be enough to knock the defending NCAA champ off the #1 seed this weekend. The Midlands likes to weigh previous tournament results in their seeding criteria, which is another reason I think Clark is the #1. 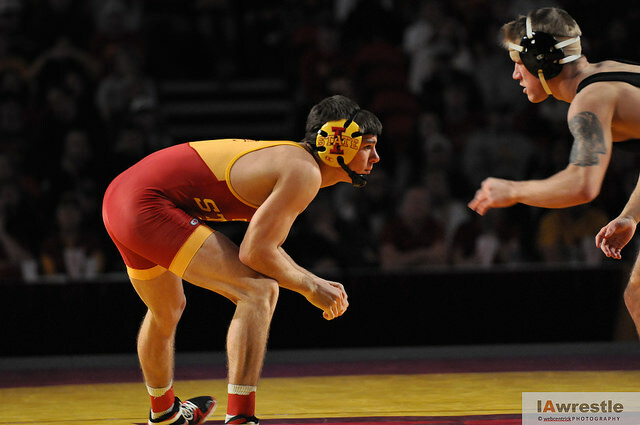 Depending on the seed, Earl Hall of Iowa State has a real chance to be in the finals of this bracket, as long as he is opposite Cory Clark – who he is 0-5 against across three seasons. Clark may just be a bad matchup for Hall, but the same can be said of Hall vs any other wrestler in the field. Last year Hall was a Southern Scuffle champion so we know he has what it takes to come out on top of a loaded bracket. What we see from Northern Iowa’s Josh Alber and SDSU’s Brance Simms is a bit of an unknown. Alber has the potential to place in the top 8 of this bracket – which is really saying something. Simms in all likelihood will need a little help since he is still looking for a signature win against a top opponent. This might be the toughest bracket in the entire tournament considering it’s overall depth. With what we have seen so far this season at this weight no wrestler is a lock for anything. Grand View will be sending NAIA’s #1 and #2 ranked wrestlers in Goodwin Cutler and Jacob Colon. Cutler has some interesting potential, taking out Cyclone star freshman Markus Simmons and then only losing to ISU’s Hall 4-3 at the Harold Nichols Open. Last year’s NAIA national champion Brandon Wright came out and took 7th at this tournament for Grand View, and both Colon and Cutler are capable of keeping that streak alive. As far as the state of Iowa goes this weight is a mess. 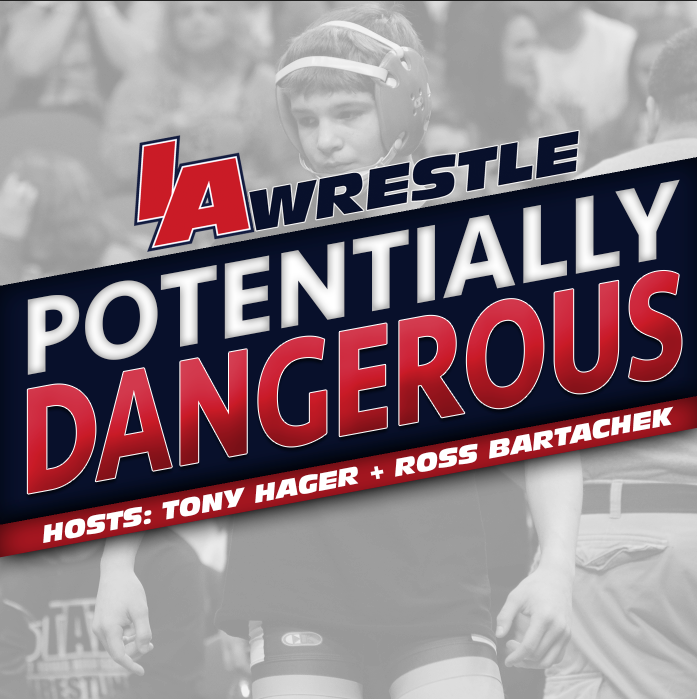 Coming into the season Iowa State’s Dante Rodriguez was the only wrestler in the state that carried a ranking, but even he has fallen out of the top 20 after a rocky start to the season. Rodriguez probably has the best shot of any known quantity from Iowa placing. 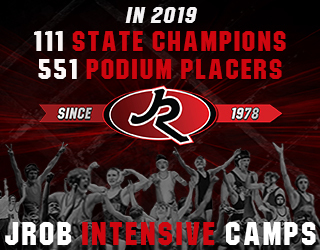 The reason the known quantity was stipulated with Rodriguez, is that Iowa is still trying to find out in what they have at this weight, and in the early going the weight is pretty much up in the air. Topher Carton has finally come back from injury and so far has demonstrated that he is one tough customer on top. Logan Ryan has struggled where most freshman do, on bottom. The two wrestlers that could really emerge at this weight are Brody Grothus, who is coming down from 149, but has missed the start of the year due to injury, and freshman Vince Turk. Grothus should most likely be even tougher on top than Carton (a much better threat for tilts than Carton at least) and could just be what the Hawkeyes are looking for. Turk has a lot of the freshman buzz about him and he has shown his ability on his feet. For Northern Iowa Trevor Jauch continues to be the favorite for the starting UNI spot, but seeing Jake Koethe getting a shot to beat his teammate in a tournament setting might just be what the freshman needs to take over in the lineup. Grand View will be taking former NCAA runner-up Andrew Long at 141 pounds, who will factors to be right there in the thick of the contenders at this weight. Long is a former finalist at 125 pounds and I think many fans across the nation are wondering if he can still go toe-to-toe with the Division I ranks. Long hasn’t faced a ton of Division I competition since coming back, but his talent has never been in question. Hawkeye Brandon Sorensen should be the top seeded Iowa wrestler at this weight, and in all honesty has a chance to be Iowa’s third #1 seed depending on how the seeding committee weigh’s Tsirtsis’s loss earlier this season (I am not saying it will, but it could happen). I have been impressed in what I have seen from Sorensen and think he makes the finals, setting up another potential tight rematch with Tsirtsis in which either wrestler can come out on top. Iowa State’s Gabe Moreno can make up some of the ground he has lost since starting the season in the middle of the rankings, to where he sits now near the back end of them. I think placing top four is a tall task to expect from Moreno considering the guys ahead of him are some of the best in the nation, but that’s not saying he can’t hang with them. Hopefully both Iowa and UNI both send their true freshmen standouts at this weight (Thomsen is listed on the preliminary list). It’s highly possible that UNI’s Max Thomsen might be good enough to be the starter right now over Gunnar Wolfensperger, and I hope we get a chance to see Doug Schwab turn him loose against some good competition. Mike Kemerer of Iowa looks good enough to be a starter right now on a majority of Division I teams, he just has the luxury of sitting behind All-American Sorensen at the moment. Coming into the season 157 looked like it was going to be one of the weaker weights for the state, but the emergence of UNI true freshman Bryce Steiert along with the close matches Iowa’s Edwin Cooper has displayed to start the year make this weight a look a little bit better than originally planned. The problem is that this weight features six wrestlers ranked ahead of both Cooper and Steiert and an additional unranked wrestler who finished top six in 2014 is back. The one thing that both have going for them is that they could be a nightmare matchup if a top wrestler (not named Martinez or Miller) run into them in the early rounds. Steiert proved that earlier this month out at the Las Vegas tournament, and Cooper beat his first ranked opponent in Richie Lewis of Rutgers and was right there earlier in the season with Pack. Iowa State has seen both Logan Breitenbach and Renaldo Rodriguez-Spencer take turns starting in the lineup at this weight and there is a good chance Coach Kevin Jackson takes both wrestlers to figure out the best man for the second half of the season. Cooper Moore (UNI) will lead the Iowans by rankings coming into this tournament, though it should be noted in his head-to-head meeting with ISU’s Tanner Weatherman he lost by fall. Both Moore and Weatherman will have a lot of potential to do some damage in this bracket, but the top two at the weight are probably Isaac Jordan (Wisconsin) and Max Rohskopf (NC State) and both are top talents in the nation. I think both Iowa wrestlers can take top five this weekend. Tanner Weatherman hasn’t been as strong as some Cyclone fans have hoped this season, but with the team finally getting into a multi-day tournament setting, maybe that’s exactly what the Iowa State senior needs to get back into the All-American hunt. For Iowa it’s a bit of a different story with both Burke Paddock and Patrick Rhoads still trying to show Tom Brands that it’s their spot. Rhoads is probably the lean right now, but Paddock starting against SDSU shows he is still in the hunt. This is a weight that I am looking forward to (and I am sure Iowa fans are with me) in seeing how “for real” Alex Meyer is at this weight class. A year ago his third place finish really cemented him as being one of the nation’s best backups and if he comes out on top of this bracket, it will be a big statement. Meyer’s last two starts weren’t fantastic performances, but going back to his first match of the season vs Crutchmer he looked like a guy who could score points in bunches while at the time trying to dig himself out of an early six point hole. Meyer is a grinder and should be in every match he wrestles. Iowa State’s Lelund Weatherspoon hasn’t looked bad since dropping from 184, but he hasn’t established himself as an All-American contender yet. That could change this weekend picking up a win over any of Meyer, Cody Walters (Ohio), Zac Brunson (Illinois), or Bryce Hammond (Cal Bakersfield) would be a huge win for the Cyclone. This weight continues to be a bit of a mystery for what the Panthers will do, but I think most Panther fans would agree that seeing either true freshman – Taylor Lujan or Jacob Holschlag – compete at this weight would make things more interesting. Right now the Panther starter looks like Drew Foster, but hopefully we get a chance to see a young gun or two at this weight. If Iowa fans want to know how for real Sammy Brooks start to the season is, this is the weekend to test it. The crowd features a number of familiar faces including returning champion Jack Dechow of Old Dominion, who handed Brooks his first loss last season, and Blake Stauffer (Arizona State) who eliminated Brooks from the NCAA tournament. One of the kickers here is whether former Penn State standout, David Taylor, will be at this weight or if he will be up at 197 (Recall that Taylor’s new international weight class is 86 kg – or 189 pounds). Even not practicing folkstyle year round, and moving up to a new weight class, Taylor still probably figures to be the favorite over this solid group. Both ISU and UNI have struggled at this weight class this season. Cyclone fans were hoping to have NJCAA champion Pat Downey in the lineup by this point in the season, but rumors are he will need another week to nurse an injury back to 100%. Junior College national champion Tyler Hoffman should be in the field this weekend as well and could be an interesting name to watch. 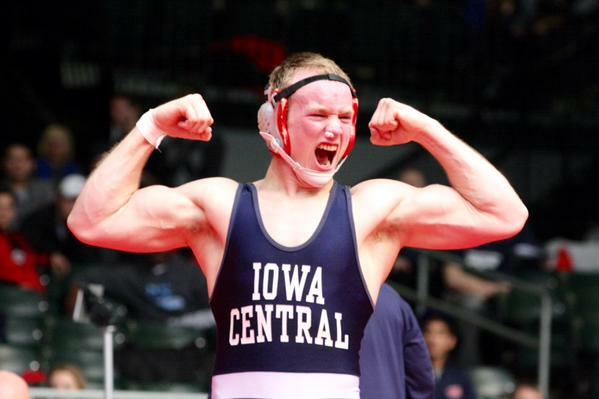 The sophomore is currently redshirting for Iowa Central and is committed to wrestling at UNI next year. Hoffman will be going up against some of the biggest names in the 184 weight class making this a potentially big weekend for the future Panther. Gilman, Clark, Meyer, and now Nathan Burak all bring strong resumes and enough tournament history to warrant #1 seeds and being the returning champion at this weight he should be the favorite to win it all. If Burak comes out and attacks like he did last year I don’t see how anyone stands in his way of his second title (Taylor caveat). Really big news is Iowa State is hoping to add freshman Marcus Harrington to their starters and he would be a welcome addition to a team that could use an additional spark plug in the lineup. We haven’t seen a whole lot of Harrington lately, so it’s tough to say if he is going to be someone who places or if he will be working through some early seasons adjustments with this being his first time on the mat in several months. Brands has a history of bringing wrestlers who are integral to the future of the team, which is why last year we saw him bring Sam Stoll and Seth Gross, two true freshmen who were favorites to take starting lineup spots. Steven Holloway is in a similar position being the only true 197 on the roster that will be back next season. Don’t be surprised if Holloway gets a spot. 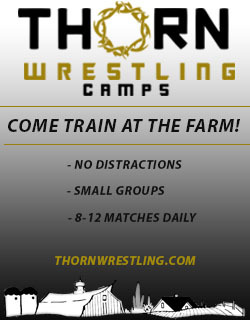 What we do know is that former Ballard wrestler Ross Larson (Oklahoma) and UNI’s Blaize Cabell are both going to be strong contenders in this bracket, what we don’t know is what role Iowa freshman Sam Stoll will play in this bracket. 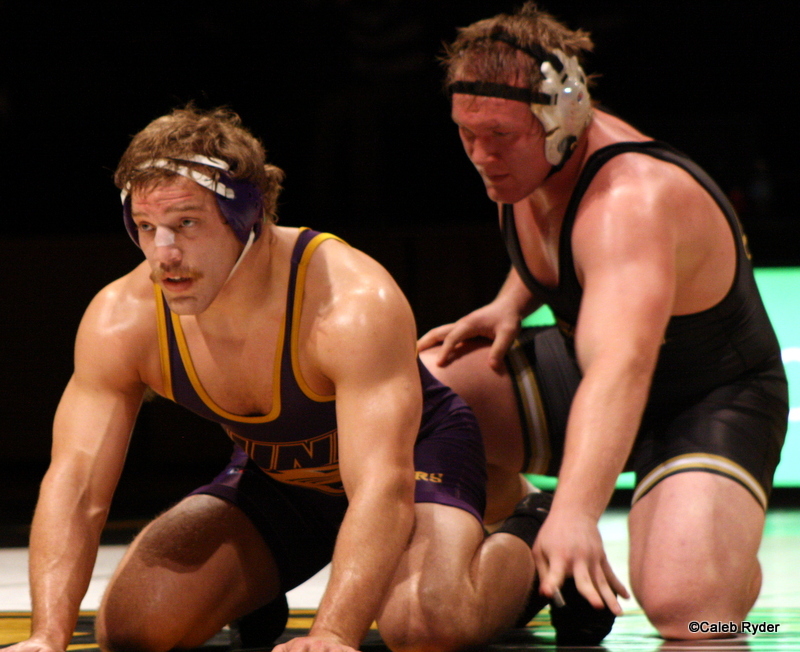 Stoll has wrestled two matches this season against ranked opponents. The first his very first start as a Hawkeye in front of 40,000+ fans at Kinnick, his second a 3-1 sudden victory win over Rutgers’s Billy Smith. Is Stoll a true top guy at this weight? I think we get our answer this weekend. Cabell is one of the top wrestlers in this group though knocking of Nick Gwiazdowski (NC State) seems unlikely (for anyone, not just Cabell) and he does already have a loss to Amaveeer Dhesi (Oregon State) – also in attendance. This weight features a lot of the nation’s top heavyweight talent so anywhere from second to sixth is reasonable for both Larson and Cabell. Stoll probably doesn’t have quite the upside you would give Cabell or Larson, but he capable – just not as much as the other two Iowans. A sleeper pick so to speak is UNI redshirt JJ Everard, who is expected to take over for Cabell next season. Everard is a former NCAA qualifier, and it wouldn’t be surprising if UNI had to medalists at this weight. Aside from just having one of the best names in college wrestling, NAIA’s #2 ranked Dean Broghammer will also be in attendance for Grand View. 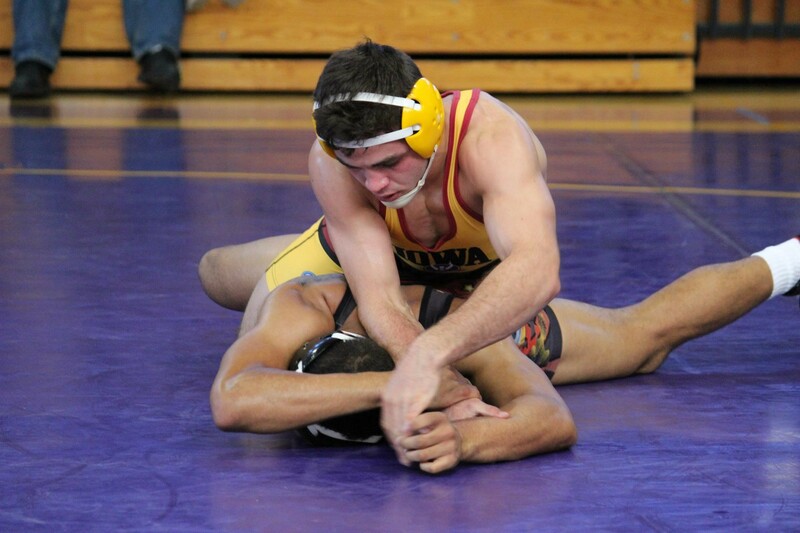 Broghammer has outplaced ISU’s Scanlan at the Grand View Open so he has potential to compete in this field. So Sammy Brooks possibly on the same side as DT?